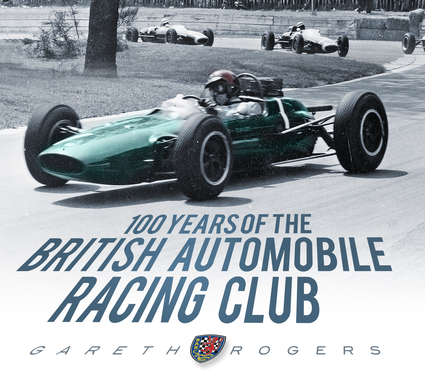 From a group of enthusiasts who took their fragile hybrid machines on a run through the Surrey countryside in December 1912, to the club’s present involvement in Grand Prix racing in India, this wonderful book is a must-have for all fans of motorsport. Starting as the Cyclecar Club, the BARC developed as the Junior Car Club before becoming the British Automobile Racing Club after the Second World War. This proud organization was the first to crack effective handicap racing for different formulae at the Brooklands circuit in the 1920s, the first to stage night racing (which was achieved at Goodwood in the 1950s) and, in the modern era, the first club to run electric car racing. The BARC were also the first to stage a UK round of the FIA Touring Car series. The redevelopment of Thruxton in 1968 saw the Hampshire circuit become the BARC's HQ, but their portfolio of tracks in recent decades has expanded to include the Pembrey circuit in West Wales, Mallory Park in Leicestershire, and the Croft circuit near Darlington. Not content with being a major force in the UK the BARC now exports its experience, expertise, and personnel to assist Formula 1 events abroad as well as a variety of other formulae. From the old cyclecars to the modern Formula 1, the history of the BARC is inextricably linked with the history of British motor racing. With rare illustrations from the first 100 years of its existence, here is the ultimate history of one of the most important institutions in motorsport. Gareth Rogers is a former historian turned sports broadcaster who has written several racing-related titles including books on the Renault F1 team, Lewis Hamilton, and a history of Mallory Park. He currently runs his own sports sponsorship company.